MingmaNuru Excursions Pvt. Ltd.Rolwaling Tashilaptsa Pass Trek - MingmaNuru Excursions Pvt. Ltd.
Rolwaling trek is one of the best trekking areas in Nepal. It offers an outstanding view of the Himalayas that lies along the north-eastern side of the finger land and that juts into Tibet to the north-east of the Kathmandu – Kodari – Lhasa highway. It has an enchanted view of Mt.Gaurishankar (7,145m) on the border and Mt.Melungtse I (7181m) and II (7023m) in Tibet.It also has a beautiful lake Tsho Rolpa, an ice lake. Many tourists come here to see the beauty, lifestyle, and culture of the valley of beding and Na(summer grazing village). 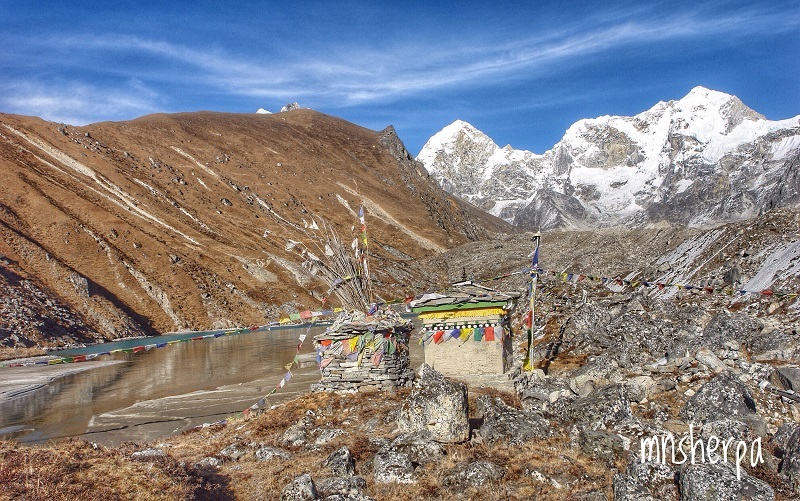 There is also a route that leads to Khumbu via the Tesi Laptsa Pass, a well-known trekking route. But is a very difficult course and very few people take this route.